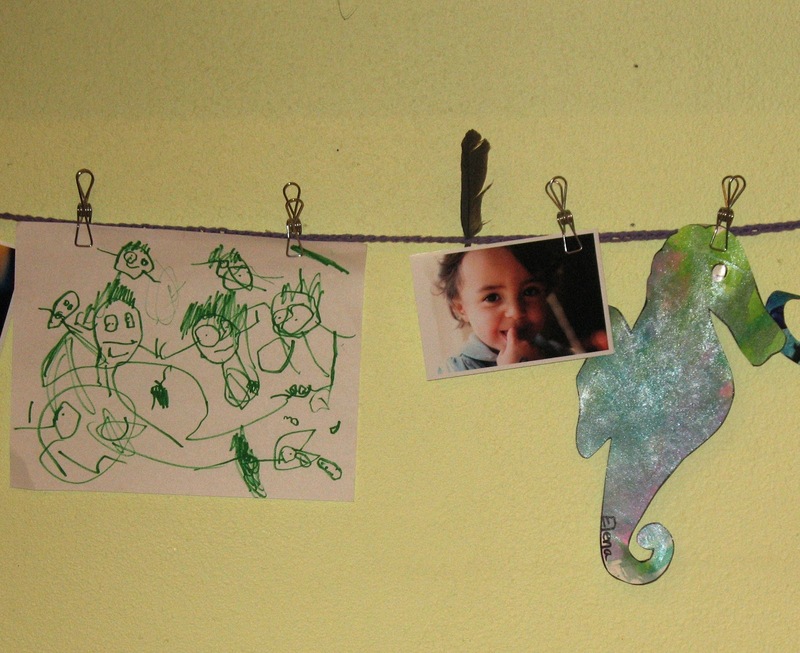 Here's a quick and easy way to show your kids' art. This little project took me less than 20 minutes total! Love easy! Basically it is just a long chain between two eye hooks. I used cotton because it does not have that much stretch to it to prevent it from sagging too much. Here's a brief tutorial. Materials: Worsted weight cotton yarn, about 10 yards or so. 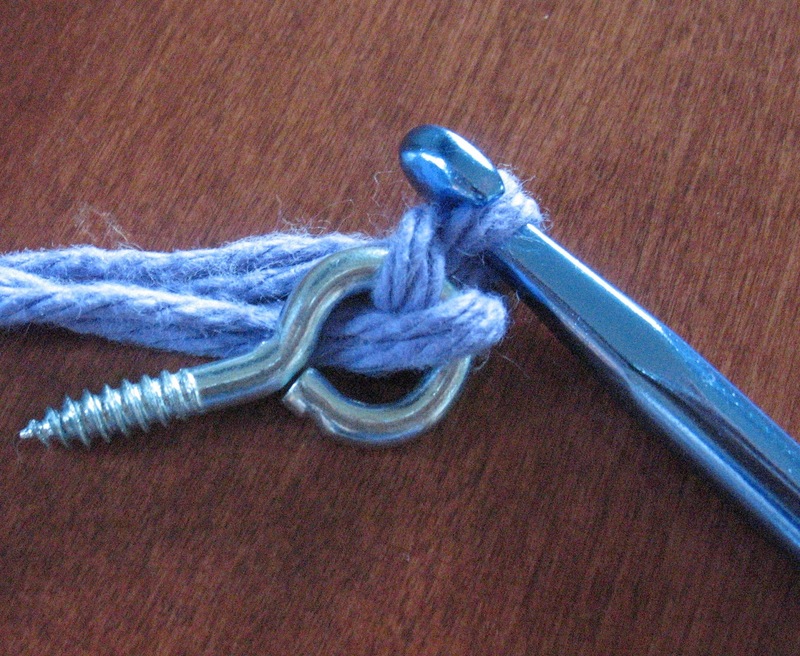 2 eye hooks. 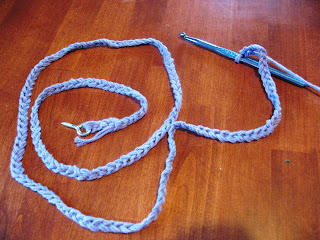 Crochet hook, size K.
Step 1: Using two strands held together, slip stitch your yarn onto an eye hook. 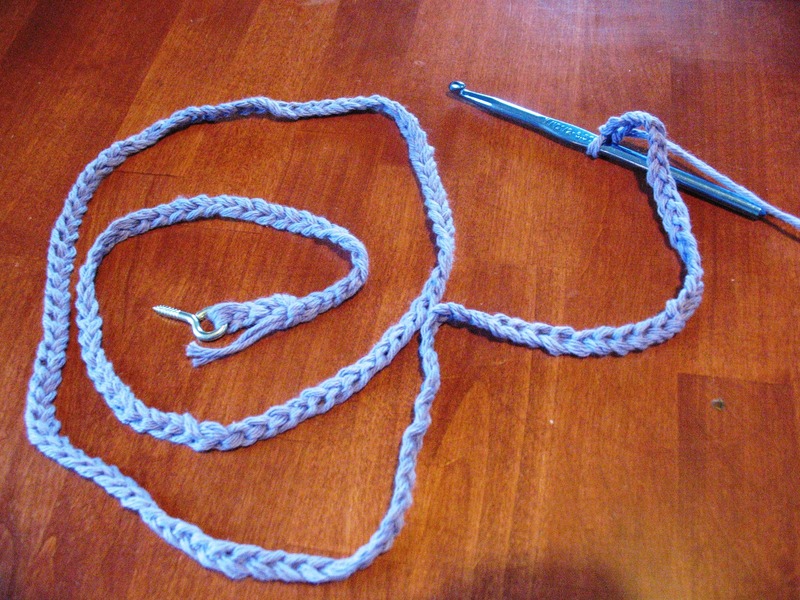 Make sure the crochet hook you use is not so large that it won't fit in the eye of the eye hook. I used a K hook. Step 2: Chain out to desired length. I chained about 5 feet. Leave a large loop tail. Step 3: Screw your eye hook attached to your chain to the wall. 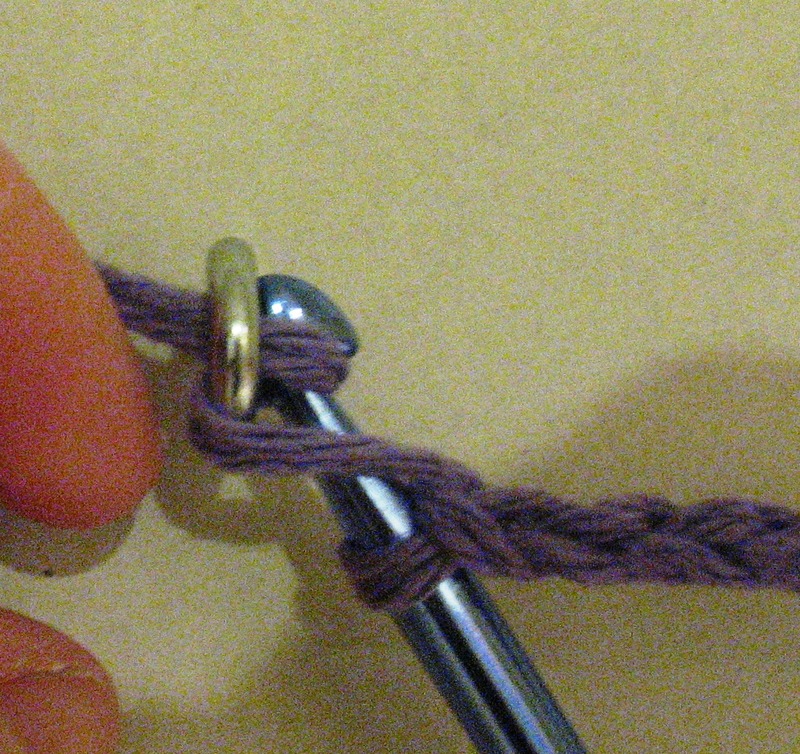 Step 4: Mark where you want your second eye hook (not attached to the chain) and screw it in. Step 5: To attach chain to second eye hook: Insert crochet hook through eye hook, pull through a loop and single crochet over the eye hook. It's a little akward but I couldn't figure out how else to do it! ﻿Step 7: Fasten and weave in your ends. Voila!!! You're done! I got some cute metal clips and attached a few of the latest and greatest drawings and paintings. You can also stick feathers and stuff in the chain. Very cute, very easy, very fun!